LAFAYETTE, Ind. — Ivy Tech Community College in Lafayette will be hosting a free Small Business Financing Workshop for veterans, presented by the Indiana Small Business Administration, on Monday, November 15, 2010 from 1:00 pm to 3:00 pm in Ivy Hall Room 1120. The workshop is open to all veterans and will cover topics surrounding small business financing, including the availability of start-up capital, money to purchase a building, refinancing of existing debt, funds to improve business cash flow and business plan basics. Only 20 seats are available for this free workshop. Make a reservation by contacting the Ivy Tech Veteran Affairs Office at (765) 269-5118. 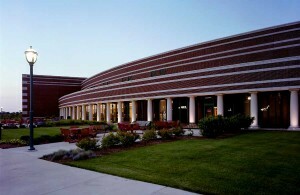 Ivy Tech Community College is located at 3101 S. Creasy Lane, Lafayette, Indiana.